Before we start, I want to make it clear that I have not achieved zero waste and, compared to some, I am still a beginner. Two years ago I started the journey of slowly converting our home to zero waste by eliminating one use plastics. What I’ve learned is it can truly be a process, depending on where you are when starting. Not many of us can wake up one morning and decided that we’ll be zero waste all of the sudden. If you’re wanting to become a zero-waster, I invite you to start here. Why a zero waste home? I’d say that step one is deciding WHY a zero waste home? Why do you want to work towards this lifestyle? For most of us, it’s to reduce our eco-anxiety and carbon footprint. Other folks just want to rid themselves of “things” and eventually achieve minimalism. My reason is a little bit of both. Reducing my waste makes me feel good, it helps the environment, it reduces the clutter in my home which clears my mind, it saves money. I could go into all of these reasons (and then some) a little more specifically, but I’ll save those for a few more blog posts sometime! 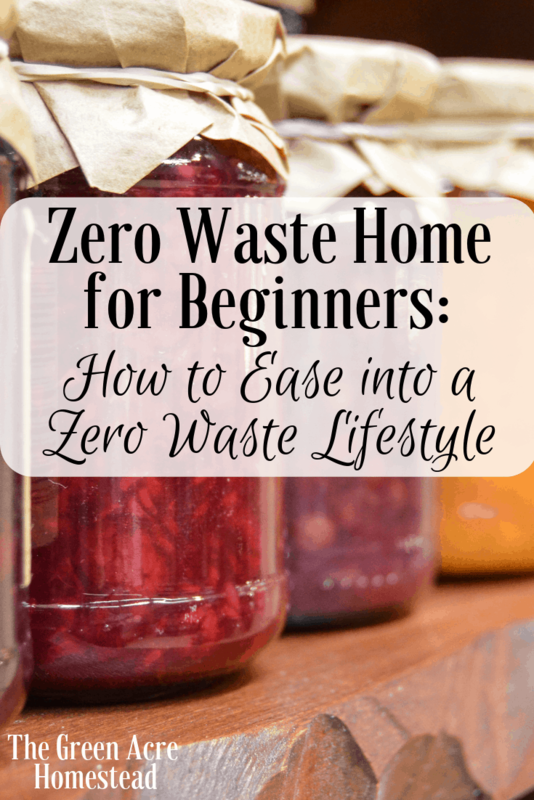 Do your research on achieving a zero waste home and what it means to do so. Figure out the what, why, and how before you dive in. What are the benefits of going zero waste and what are the steps to take to achieve your goals? You’ll find that there are many pros and not as many cons! I’ve been doing research on how and where to properly recycle in my area. Different locations are able to recycle more and less and it’s important to know what’s available in your area. Eventually, the idea is to not have much waste to recycle, but on your way to achieving a zero waste home, you’ll have things you need to dispose of. Our ultimate goal is to recycle what we can, donate the rest, buy used, and send the smallest amount of stuff possible to the landfill. Research why reduing your waste and one-use-plastics us benficial for the environment and know the facts. Evaluate and prioritize your waste! Dig through that trash! Totally kidding, don’t do that…but kind of do that. To reduce your home waste you need to evaluate it and know what’s there and how to achieve the “zero” part. Where’s your waste coming from? In my home, most of my waste is from apple juice jugs, fruit containers, and Powerade bottles. My husband drinks juice and Powerade so it’s been my largest challenge to eliminate those plastics. My current plan is to switch to apple juice concentrate and Gatorade powder. This way my husband can have his juices while producing less waste and eliminating plastics! You can purchase Gatorade powder in a cardboard can as well as an apple juice concentrate. Ultimately, it would be great to reduce the amount of juice drinking going on, but sometimes you have to find a middle ground. Another option I’m going to explore is buying juice in glass bottles. As far as the fruit goes, we’re working towards growing more of our own fruits at home. I currently save the fruit containers to store our own fruit in! Unfortunately, we don’t have a good option in our area to buy “loose” berries such as farmers markets. We DO have You-Pick options during specific seasons and I plan to fully take advantage of them this year. Blueberries, strawberries, blackberries, and peaches are all available at You-Pick farms close enough to us! Do not decide you’re going to work towards a zero waste home and start throwing things away! To begin with, that’s just wasteful in itself and we’re trying to achieve zero-waste. The best thing to do is to replace things as they run out. It took me about a month to eliminate paper products from my kitchen because I was using the rest of my paper towels. I recently bought my first shampoo bar because it took almost 9 months to use the rest of the shampoo in my plastic bottles. Just to let you know, I LOVE MY SHAMPOO BAR! I’ll never go back to bottled shampoo. One of my closest friends uses a zero waste refillable shampoo service called Plaine Products and she loves it if a shampoo bar isn’t your jam. I’m still working on using all the tubed toothpaste I have in our bathroom and finishing the “regular” toilet paper before switching to a more eco-friendly alternative. It’s definitely not an easy task to achieve, especially depending on your geographical location. I think it is so great that you’re using and reusing all the resources you can, though, and that is a GREAT step towards zero-waste and slow, sustainable living. We can only hope the recycling gets to where it needs to be as we work on decreasing the amount of it we have. Thank you for stopping by, Margy!